No, really. This might be your only chance to get papped and not end up in society pages. You can experience what it means to have 64 bulbs go off in your face with practically no consequence. All right, you’ll be slightly blinded (but only for a few seconds*). And then your sight will get back to normal. Promise. I’ve been through this a few times already. I’m loving the Paparazzi installation by Wojciech Puś! 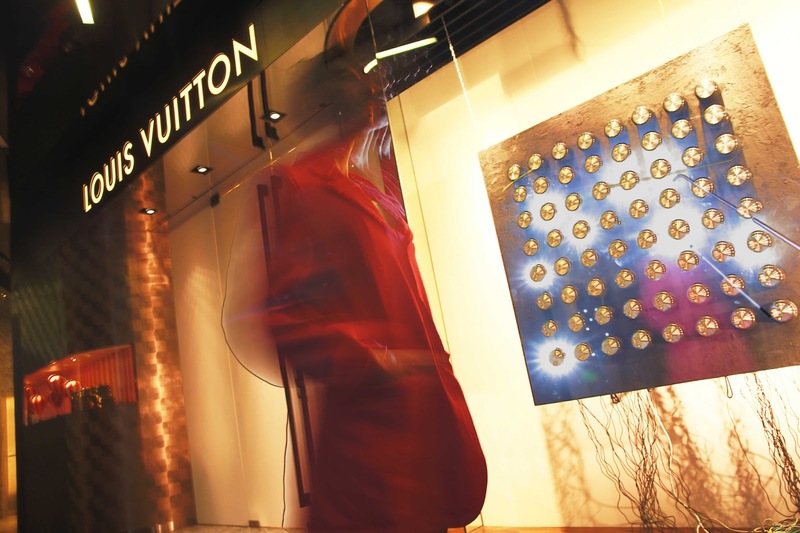 It was commissioned by Louis Vuitton to celebrate the opening its first store in Poland. Set in the inner window of the Warsaw store, the installation is activated by each passerby, who triggers off the projectors and cameras. Clients entering a Louis Vuitton store are like stars, they enter a magical and exclusive place, so I wanted them to have that feeling even before entering the store – says the artist. Glamorous and frightening at the same time, Paparazzi surprises and scares. It gives you a little insight into the lives of real celebrities. It plays with your feelings. It makes you ask questions. It is a piece of art you can’t pass by without noticing it. You can see Paparazzi at the Louis Vuitton store in Warsaw until the end of the summer. But if you don’t make it to see the installation at the store, don’t worry. You’ll still be able to get papped at the Museum of Modern Art in Warsaw, where the work will be donated, courtesy of Louis Vuitton.